WHO are ME & MR Green? Me and Mr Green is the brainchild of Dan Green who, after nine years of leading the successful Me and Mr Brown decided that a change and a freshen up was required to once more take the party circuit by storm. Me and Mr Green bring the very best party music from previous decades right through to the present day and never fail to create an amazing atmosphere at your event. With over 500 weddings and countless corporates, festivals and birthdays under his belt, Dan has teamed up with Julian - an incredible guitarist and a massive bundle of energy, to create the perfect team. Me and Mr Green are guaranteed to get the party started and keep it there! Hailing from West London, Daniel took the plunge and moved down to South Africa in April 2007 and loved it so much that he decided to stay! Having been trained on the drums since the age of seven, Daniel joined forces with his younger brother Jon to form a band commencing on a journey that, although ending ultimately without the success that they both craved, lead to an extensive CV which included live performances at all of London's top gig venues (The Palladium, Subterrenea, Barfly, Dingwalls and the Borderline Club to name but a few) and a whole host of recording experiences in some of the country's finest studios including Abbey road and Air Studios. In 2002, the boys decided to call it quits with Daniel opting for a career in the "real world" and Jon opting to continue with his music, earning a reputation as one of Universal Records' brightest young song writers and producers penning tracks for James Bay, Sam Smith, Kylie Minogue, Jack Savoretti, Jason Mraz, Linkin Park and James Morrison to name but a few. Daniel began strumming his guitar for fun once settled in South Africa, commencing a journey which now sees him as one half of one of South Africa's best Live party cover bands. Daniel is an avid Arsenal fan, a lover of fine wine and food and lives in Noordhoek with his wife Lindi and their three children Charlie, Daisy and Liv as well as their two dogs, two tortoises and two pigs! Born in the small Eastern Cape town of Matatiele and raised in Durban, Julian’s passion for music dates from his early childhood. A lover of blues guitar, Julian was hooked on his guitar from a young age and teenage trips to local blues and folk festivals in Kwazulu Natal only enhanced his love and joy for music. 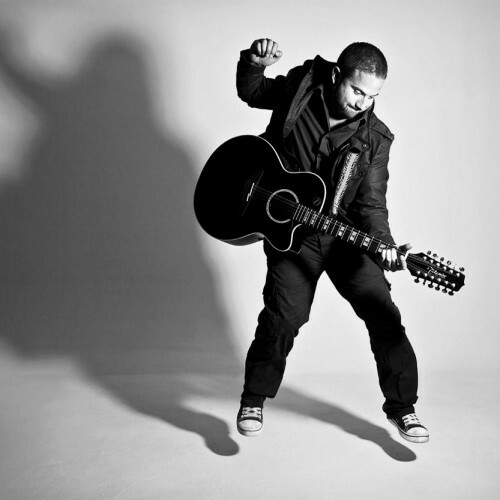 Julian has performed regularly on the SA gig circuit since his mid-teens and more recently played lead guitar and recorded with major up and coming SA band ‘Southern Wild’. 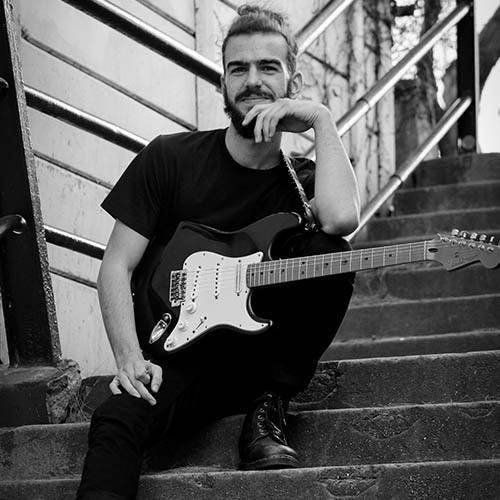 As well as being an incredible musician, Julian may also be the only lead guitarist in a cover band in Cape Town with an honours degree in Business and Finance- he graduated from the University of Cape Town in February 2018. Julian is one of four brothers and he lives in Claremont, Cape Town. Martin is a highly experienced industry professional, who has worked with Dan for the last seven years. Although a non-playing member of the team, Martin is arguably the most important cog in the wheel, ensuring that everything is covered for your event from the tech side- Martin has run the sound requirements for well over 200 weddings and many more gigs and events making him a highly experienced member of the team. Martin is super professional, always calm and his easy going nature is infectious. There are never problems- only solutions! Martin also morphs into a great DJ later on in the night when the live band are finished, spinning great party tunes as well as taking any requests. Born and bred in Johannesburg, Martin moved down to Cape Town 8 years ago. 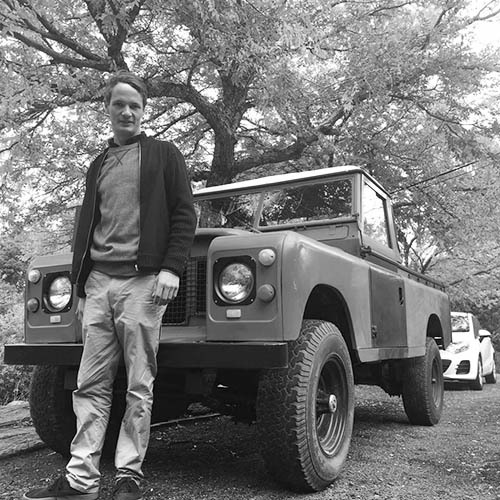 His interests include art and set design as well as driving vintage cars!